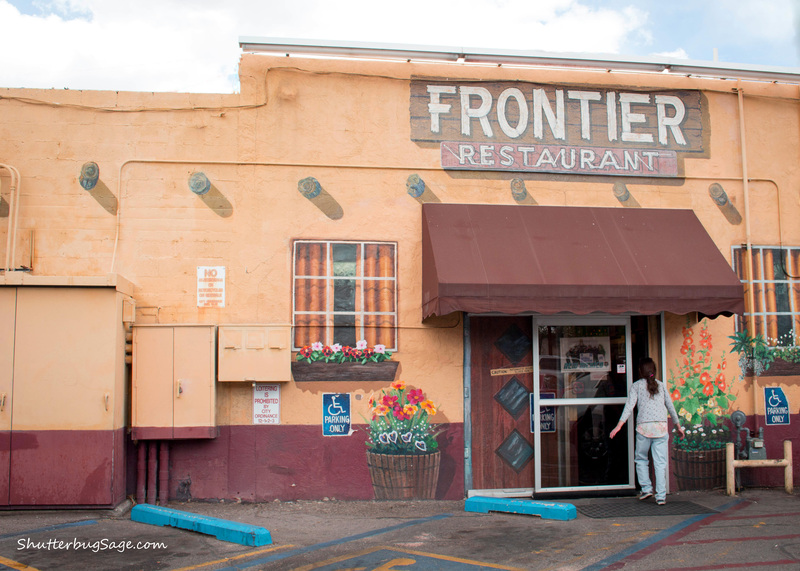 Just across Central Ave from the UNM campus, the Frontier Restaurant is open from 5am to 1am daily. 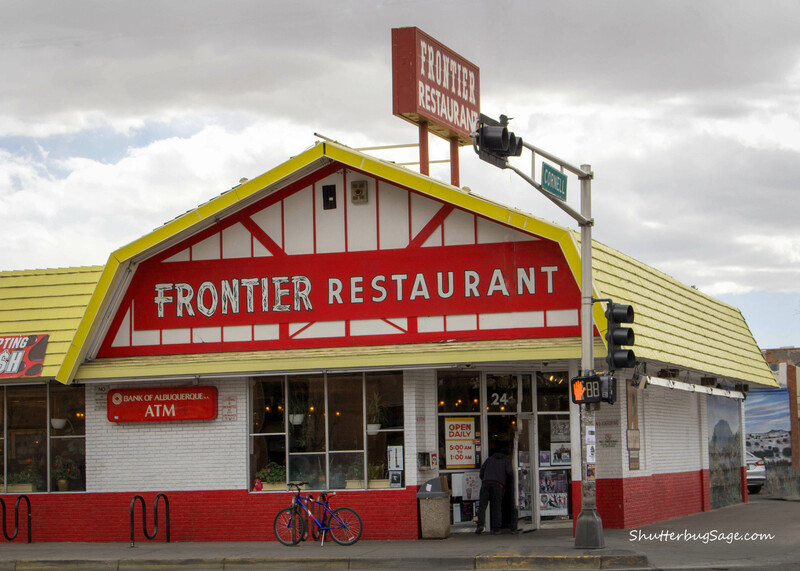 When I attended graduate school at the University of New Mexico in Albuquerque, New Mexico, many hours were spent at the iconic Frontier Restaurant. 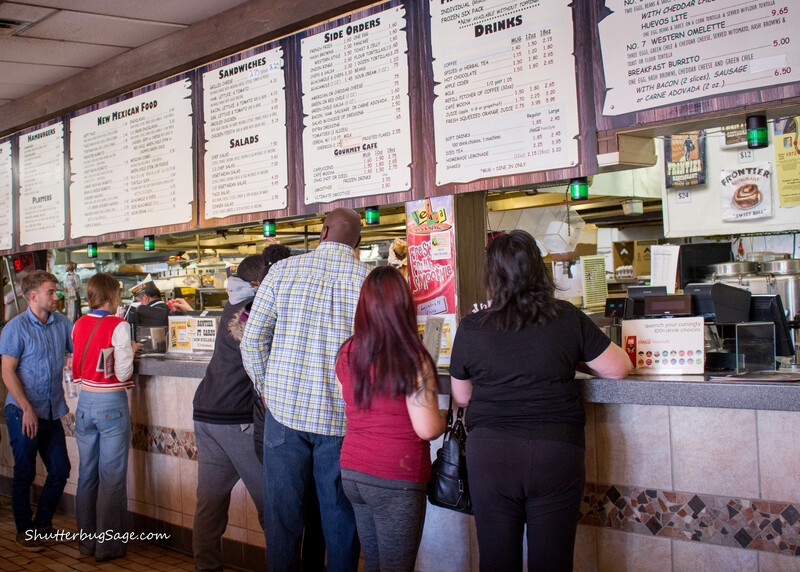 Situated right across Central Avenue from the UNM campus, the restaurant used to be open 24 hours a day where it served as a meeting, studying, and feeding place for students. Although many years have passed since my time at UNM, I love that it remains a safe, clean place to pour over homework and an affordable place to get a good meal on a college student’s budget. Plus, it’s now double the size it was when I went to school here, so it’s able to accommodate that many more people! Worth the wait! Finally ready to place an order at the Frontier Restaurant. Huevos Rancheros. My personal all-time favorite is the huevos rancheros with a mix of red and green chiles and home made tortillas. The homemade tortillas and red and green chiles (on the side so I can control the heat) make the huevos rancheros one of my personal favorites. Breakfast burrito. 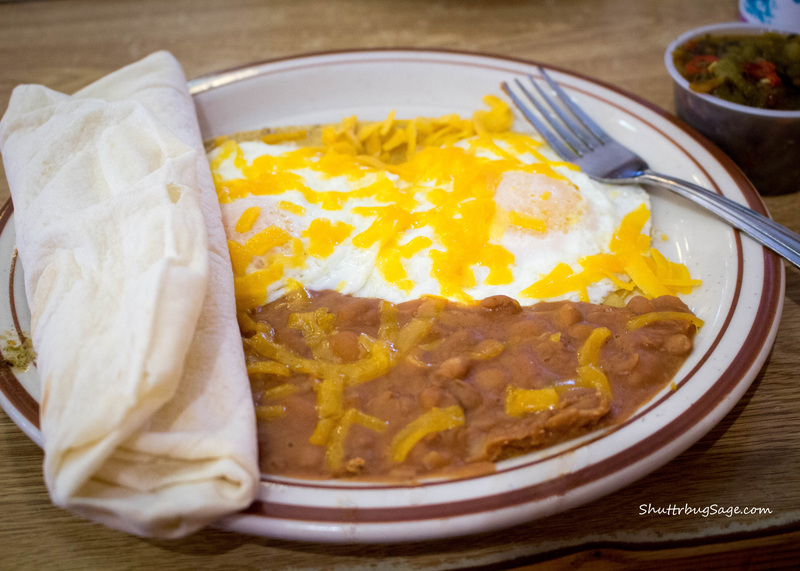 On a typical Saturday or Sunday, the Frontier Restaurant can serve as many as 800 of their award-winning breakfast burritos. Anything green chile. Within the state of New Mexico, you can look forward to amazing green chile anything, from green chile stew to green chiles on cheeseburgers. And it’s always delicious! If you arrive at the Frontier Restaurant by car, don’t let limited parking on Central Avenue deter you from stopping in! The alley behind the restaurant connects to many other parking areas dedicated to the restaurant. While parking can be limited on Central Ave, there are many dedicated spots behind the Frontier Restaurant and an additional alley entrance. 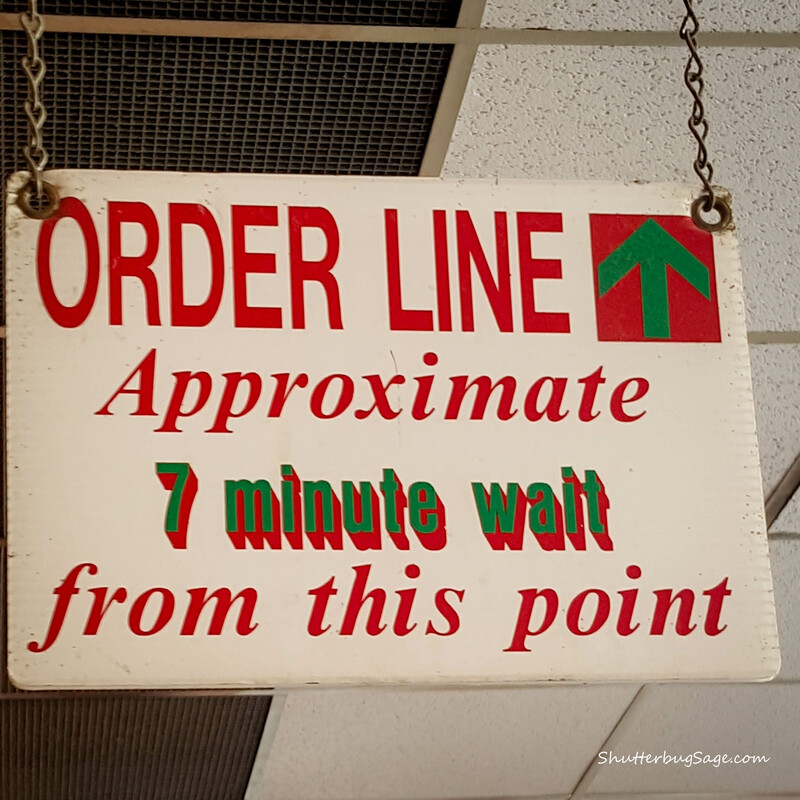 The Frontier Restaurant is a popular place, so prepare to wait in line if you are visiting at a popular time. Fortunately, markers hanging from the ceiling give you a feel for how your journey to the ordering counter is progressing. Don’t dine and dash! 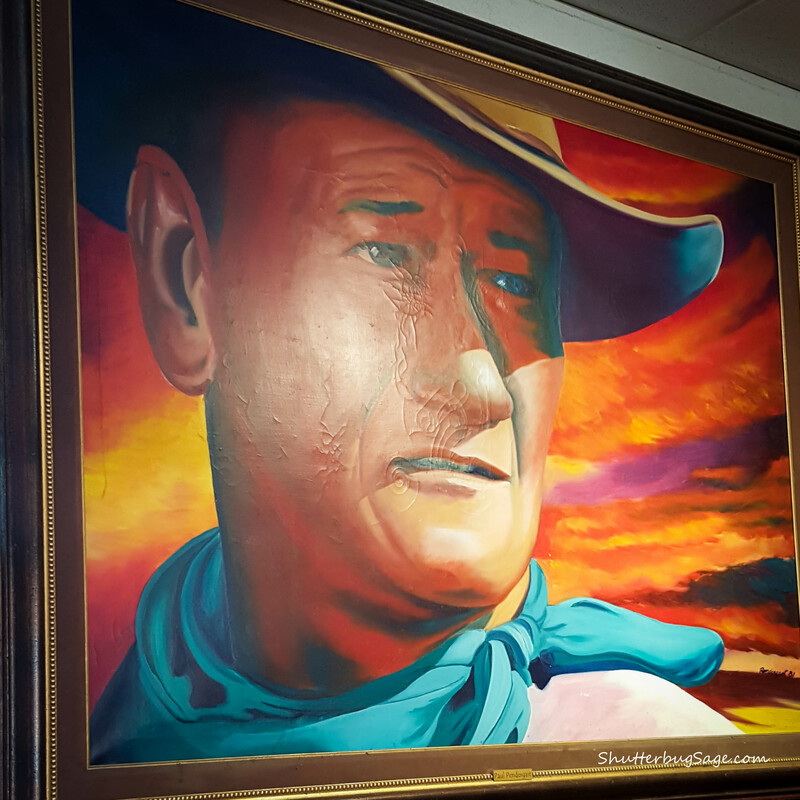 Take a few minutes to walk through the entire restaurant to appreciate the art, especially all of the John Wayne pieces. Don’t just take my word for it, here’s what a few other had to say about the Frontier Restaurant. 💖 Frontier Restaurant! 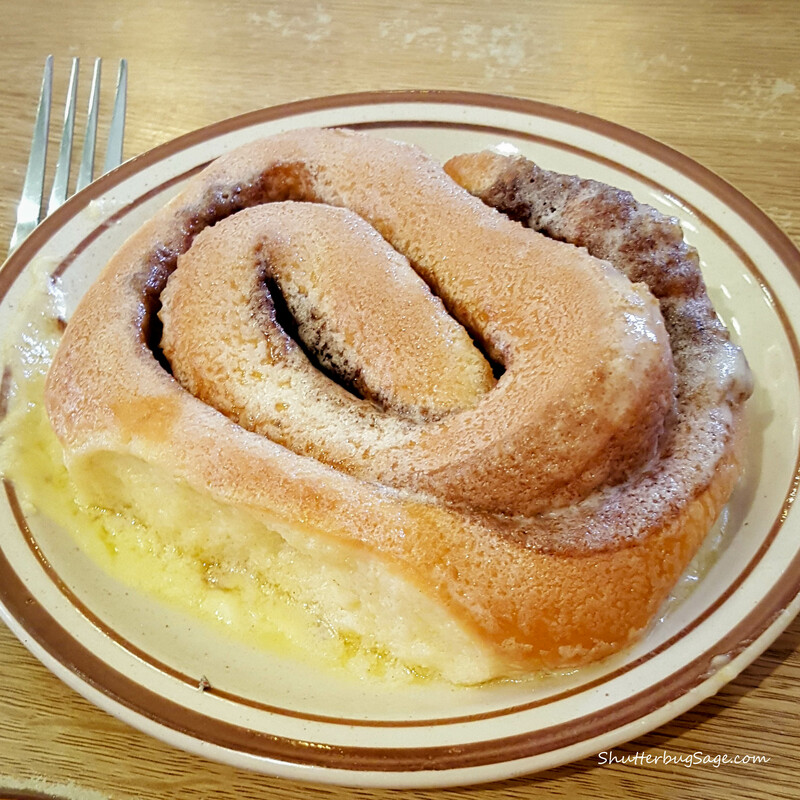 The cinnamon rolls are my favorite! Great review!